Comments: This yucca features a green and creamy-white variegated foliage that forms a rosette of rigid leaves with sharp points. Plants should be placed in positions away from direct contact with people because of the stiff spines on the tips of the leaves. Plant yuccas in full sunlight and a well drained soil. 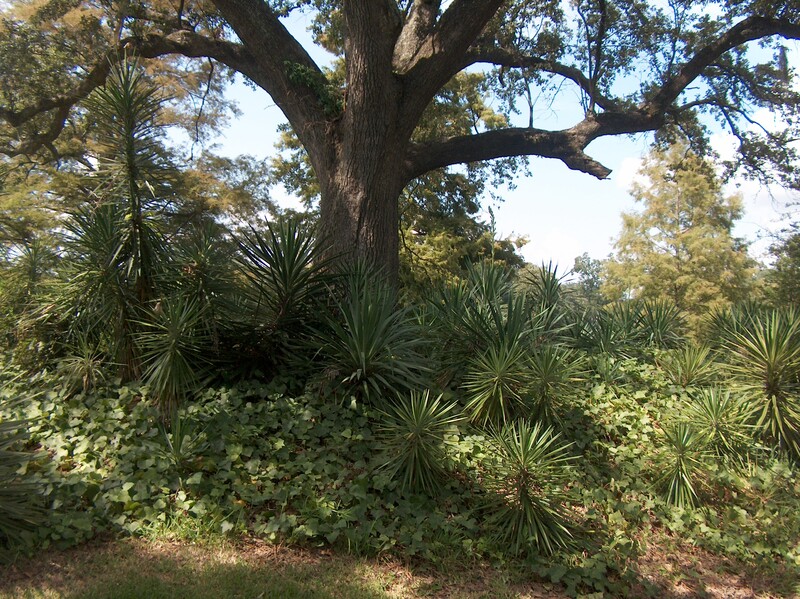 Yuccas can tolerate very dry soils and neglect. Borers can sometimes be a problem.